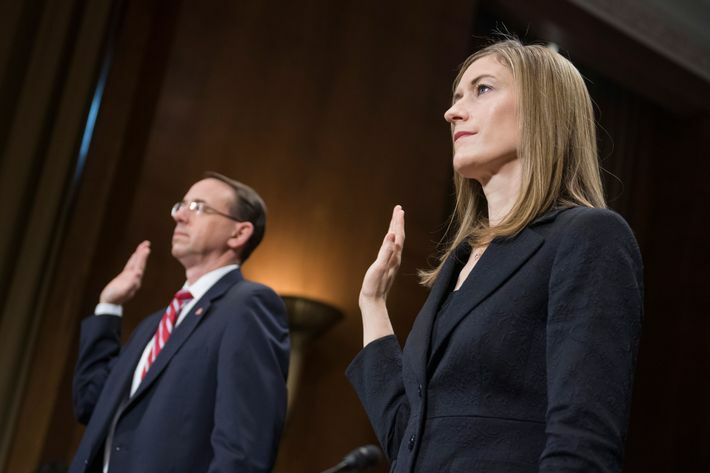 Rachel Brand, the number three official at the Justice Department and the woman who would replace Rod Rosenstein if Trump fires him, has resigned. Ms. Brand, who became the associate attorney general in May 2017, is leaving for a job as general counsel in the private sector. She has held politically appointed positions at the Justice Department over the past three presidential administrations. One has to wonder if Brand saw some writing on the wall, or if she simply finds working in the Justice Department under Donald Trump too toxic. Brand is considered a consummate professional, and somebody who people felt could not be bullied by Trump to fire Robert Mueller, or be convinced to impede his investigation. With her gone, and soon to be replaced with somebody of Trump's choosing, Rod Rosenstein could almost certainly find his job on the chopping block, as Trump moves to further obstruct the Russian investigation. I think it is too early to assert that this will definitely be what happens, but I would not be at all surprised if we suddenly saw Trump attacking Rosenstein more vociferously on Twitter.